Also known as the "Road That Built the Nation", the Historic National Road was created in 1806 by legislation signed by President Thomas Jefferson. Sometimes called "The Cumberland Road" and "The Old Pike", it was the only road completely built with federal funds. Originally winding from Cumberland, Maryland to Vandalia, Illinois, the National Road opened Illinois to settlement. Today, the Illinois National Road stretches 164 miles from Marshall to East St. Louis and is mirrored by U.S. Route 40 and Interstate 70. Visitors can see where Lincoln’s political career began, marvel at a giant catsup bottle, and enjoy the food, festivals, and fun that make the Historic National Road a relaxed journey through Americana. 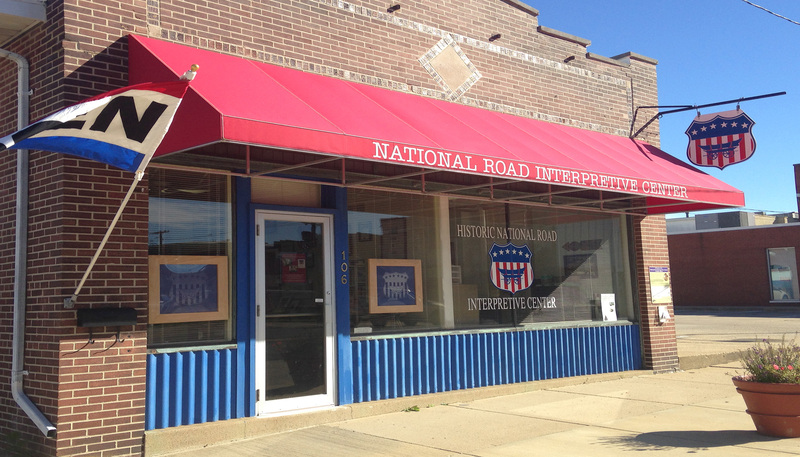 If you would like to learn more about the Historic National Road, visit www.nationalroad.org. Researchers can also access books and documents about the National Road. Group tours for schools, churches, bus tourists and others may be arranged by calling (618) 283-9380. To find out more information about the National Road Interpretive Center, visit www.nationalroadvandalia.org.